Toastmasters International is a structured organization in which you can enhance your communication and leadership skills step by step and at your own pace. After you have become a member, you will receive a welcome package which includes information about the newly revised Pathways which is a modernized learning experience suited to our changing global society. Each path blends leadership and communication skills through pre-designated projects. There is no instructor in a Toastmasters meeting. Instead, members evaluate one another’s presentations. This feedback process is a key part of the program’s success. Meeting participants also give impromptu talks on assigned topics, conduct meetings and develop skills related to time management, grammar and parliamentary procedure. Goal 9 Club Officer Training: Train four or more officers in June-August and train four or more officers in December-February. 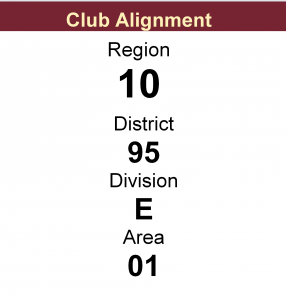 Goal 10 Submit on time the Club Officer List and the October or April Club Semi-annual per capita report (dues). 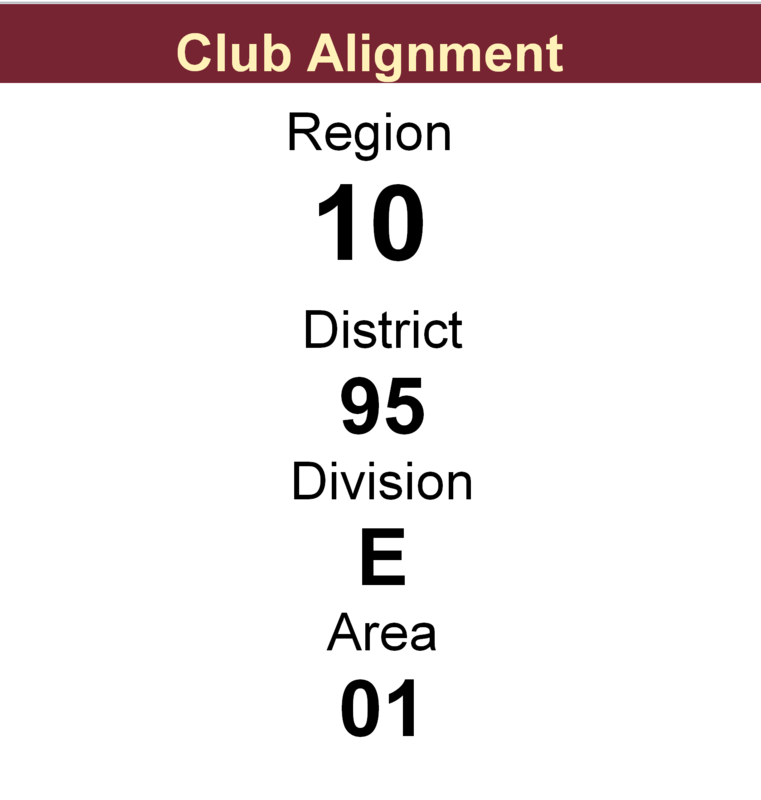 Area 1 covers clubs in greater part of Stuttgart. Divison E is made up of clubs in Baden-Württemberg. Pingback: Stuttgart International Toastmasters » Succesful club series: three objectives met !